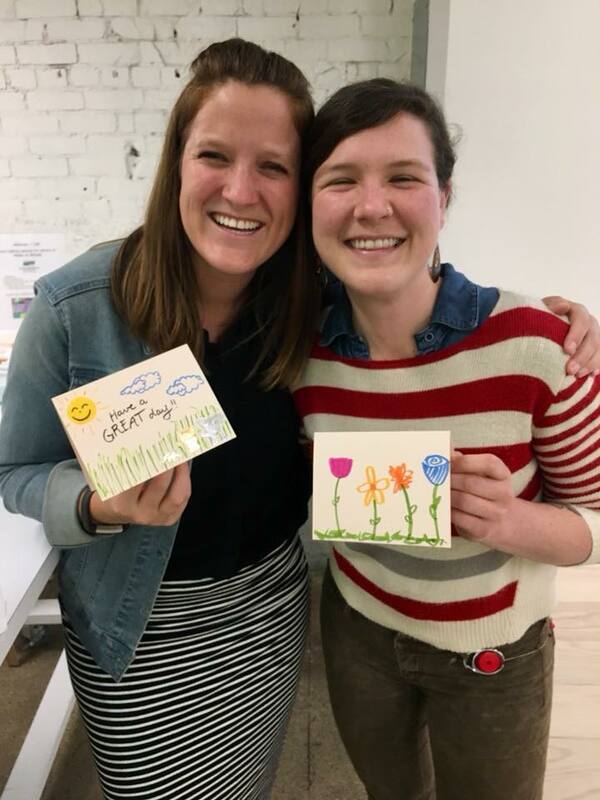 Card making opportunities for you, your family & friends, and groups! All year long, you can let one of our 4,500 Meals on Wheels seniors know that people care about them, especially during their birthday month. 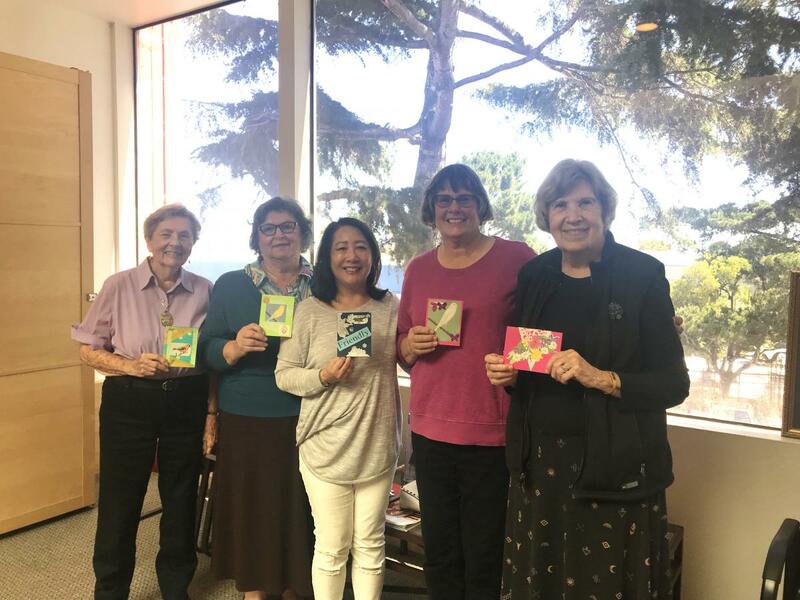 Every year since 1970, our volunteers have made and distributed hand-made birthday, Valentine's, winter holiday cards, and Thanksgiving placemats! We want each client to know that we care; and for many of our seniors, the card you make may be the only card they receive during celebratory or difficult times. So, kick back at home, with your family and friends, or with your coworkers and get creative! 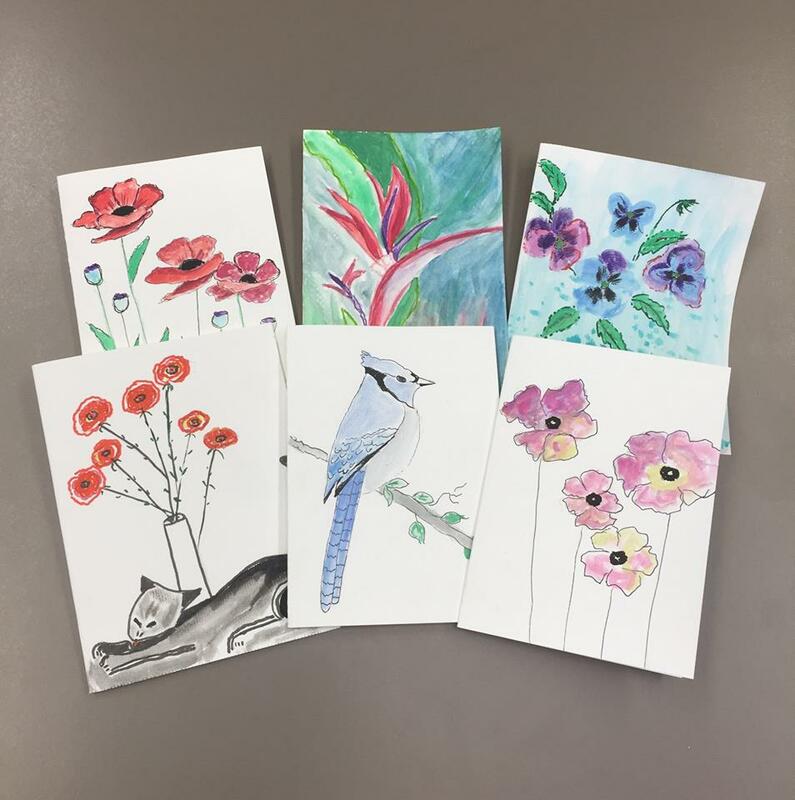 You’ll have fun tapping into your artistic side, and you’ll feel good, too, knowing that you’re making a difference in the lives of so many of our community's seniors. Please contact Kathy Stirling, Director of Corporate & Community Initiatives, at kstirling@mowsf.org for more info. Cards must be small enough to fit into our delivery bags - see dimensions below. 11 X 17 construction paper should be cut into fourths so you get four cards per sheet. 8½ x 11 paper can be cut in half for two cards per sheet. Use glue sticks for gluing and not any other type of adhesive. Do not use glitter, macaroni, or other types of decoration that can easily come off. Remember, seniors often have poor eyesight. Keep print large and avoid cursive. Do not sign the cards, not even with your school or company name. It confuses many of our senior clients. Please avoid irony, slang, puns or jokey cards as it will also confuse our clients. Think of kind, sincere, and joyful messages and images. Please do not use any language that pertains to any religion. Write "Happy Birthday" on the front of every card and a positive message on the inside. See examples provided. Write "Happy Valentine's Day" on the front of every card and a positive message on the inside. See examples provided. Write "Season's Greetings" on the front of every card and a positive message on the inside. See examples provided. 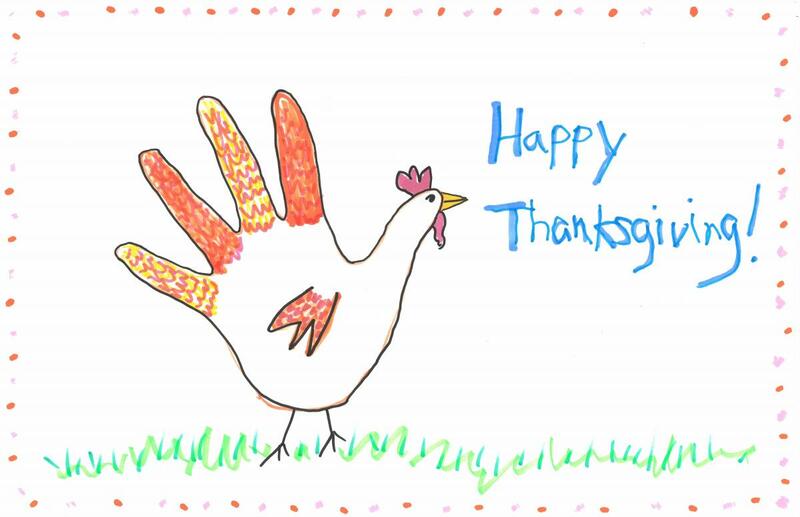 Download and fill out cover sheet and include with cards before mailing or dropping off. Hope your birthday's as terrific as you are! Wishing you a special birthday! Warmest wishes and love on your birthday! Huzzah to you on your birthday! Sending you love on Valentine's Day! Hope your Valentine's Day is sweeter then candy! Wishing you a day full of love and happiness! Hoping today is a wonderful celebration for you, Happy Valentine’s Day! Wishing you a smile filled Valentine’s Day! Hope your day is full of Hugs, Love, and Laughter! What a sweet and creative surprise from Hoover Elementary School in Burlingame. Thank-you students, our seniors will love receiving these!